by Bobby Horton. 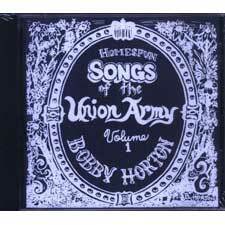 Seventeen (17) songs popular with troops of the Union Army during the Civil War. Includes Battle Hymn of the Republic, Tenting on the Old Camp Grounds, We�ll Fight for Uncle Abe and fourteen more.